The domestic market moves become stronger rupee has increased the pressure on gold & Silver. The decline of gold in the international market in the domestic market is also being witnessed. Silvers also strong pressure on the rupee. Comax gold is trading at 0.3 per cent, 1390. At currently Precious metals Gold and Silver is trading bearish view in the domestic market. MCX Gold is trading 163 Rs below due to previous closing, while silver is trading 288 Rs below due to last closing. Currently MCX Gold is trading at Rs 26,147 in June contract & Silver is trading 43,035 on July contract. Expectation & Technical Levels: - As far as we believe today sell gold will remain in the same position. Gold may touch the level of 2600 until today and Silver can also touched level of 42700 in a day. Gold technical Résistance levels for Intraday 26341 to 26506.2 and Supporting zone 26057.6 to 25971.3. MCX Silver is Résistance level 43533 and 43833. 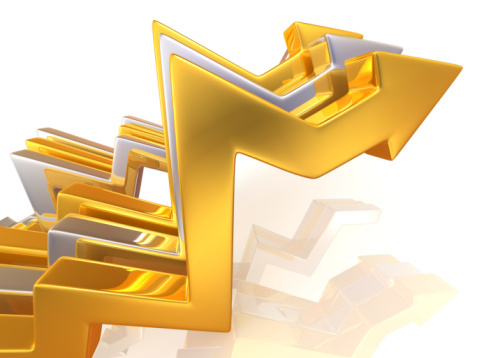 @ Buy MCX Gold June above 26150 26173, 26197 Stop Loss 26103. @ Buy Silver July above 43100 TGt 43200, 433300 Stop Loss 42900.